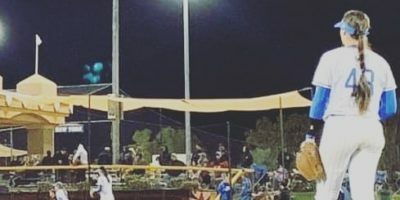 The FD Friars and St. Paul Warriors were officially issued forfeits after finding no resolution to their request for a rescheduled game. 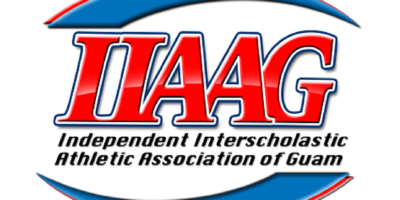 Both teams left off-island to compete in tournaments during the boys basketball season and the IIAAG passed a motion to issue forfeits if no rescheduled date could be made. Here’s the story. 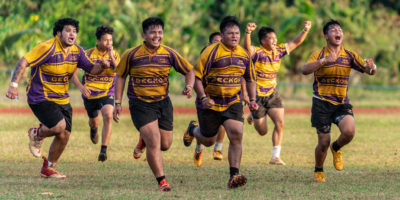 The GW Geckos busted the FD Friars nearly four-season long IIAAG rugby winning streak in dramatic fashion, with a walk-off try to complete a 14-8 comeback victory. 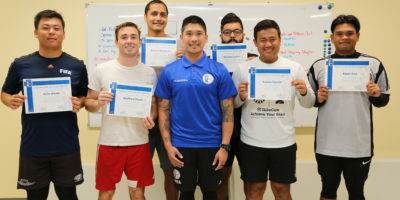 Wednesday’s meeting of high school rugby power houses was in familiar setting as both teams were coming into the day undefeated. 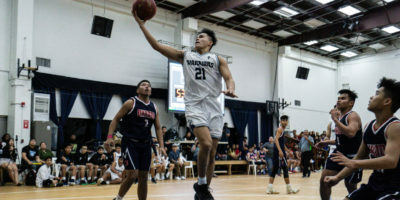 In an interdivisional IIAAG Boys Basketball matchup between the St. Paul Warriors and Okkodo Bulldogs, the Warriors would grab the win 64-50 Tuesday night, bouncing back from a Wednesday night loss to the FD Friars. 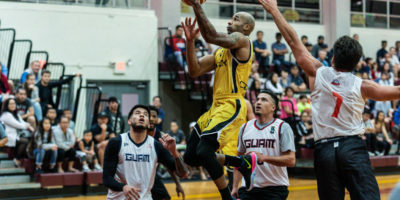 Basketball fans were treated with a glimpse of high level basketball as the scheduled exhibition game between the Russian pro team Vostok-65 vs a Guam select team of local stars on Sunday carried on as planned despite the passing storm. 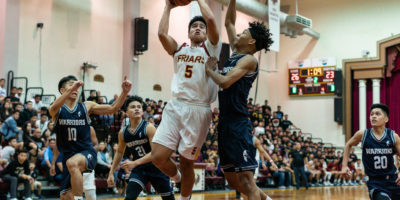 The FD Friars and St. Paul Warriors put on yet another entertaining contest Wednesday evening with FD getting a big regular season win against their IIAAG basketball rivals. 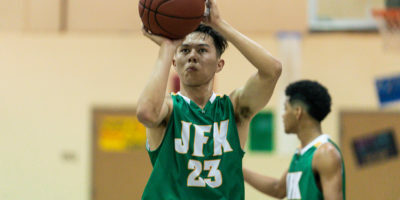 In an interdivisional matchup between two of IIAAG Boys Basketball’s top seeds, the Islanders held off an Okkodo rally, winning 59-55 to increase their win streak to six.